We know that every commodity trader has unique goals and experience as well as requirements when it comes to investing. 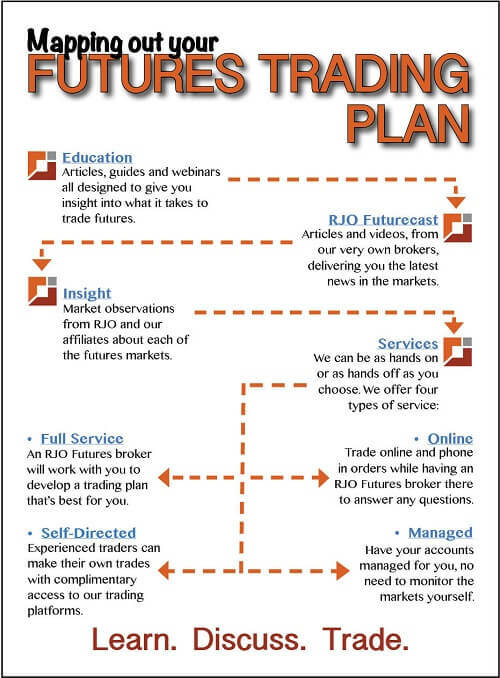 At RJO Futures, we offer a number of different account types that can be personalized to meet your particular needs. Each of our account types are specifically designed to help you get the most from our Resources, Relationships, and Reputation as you possibly can. Whichever of our trading accounts you decide to utilize, you have access to our "always open" trade desk, our unparalleled online trading platforms, our industry leading insights and back-office support that is there for you every step of the way.